An update to Vol. 2, pp. 618–626. 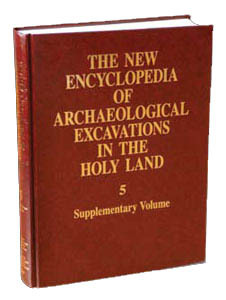 Three more excavation seasons were conducted at Lower Herodium between 1997 and 2000, by an expedition of the Hebrew University of Jerusalem under the direction of E. Netzer, with the assistance of Y. Kalman and R. Laureys-Chachy. The work concentrated in two areas: southwest of the pool complex; and in the vicinity of the monumental building at the western end of the “artificial course,” an elongated man-made platform north of the remains of the large palace. The large bathhouse at the southwestern corner of the pool complex, excavated in parts in the 1980s, was completely exposed and partially reconstructed. The latest excavation results clearly indicate two distinct phases within Herod’s lifetime. The earliest bathhouse comprised a peristyle court (palaestra), 25 by 15 m in size, surrounded by colonnades; a dressing room (apodyterium); a large tepidarium; a spacious caldarium; a frigidarium consisting of a stepped pool (which was later eliminated); two other small rooms whose purpose is not known; and a narrow service court (for the heating system) entered through the palaestra.